Nearly two years ago, people went down to the streets with millions opposing the former toppled pres. Mubarak, in a scene that shocked the whole society since this movement was spontaneous, and anti-politics. This enormous wave struck the aged, rotten political elite, the people felt for once they have the power to achieve something, rather than the reformist demands that kept repeating for ages by the elite and liberals, even the islamists. When the people broke the endless circle of opposing the system from within the system, which was impossible to fix since the main pillar of it was the corruption -like all systems around the world-, the corruption we are referring to is the only one the capitalists create, the one that is based on exploiting the masses, impoverishing the population for the sake of enslaving them, controlling their life, those masses who went to shout three words -no more- “bread, freedom, social justice”, it was not for too long, until the SCAF showed up with their “democratic” plan, which was aimed to end the people’s uprising, which began with sarcastic plays to end with another one, starting from the constitutional referendum, and ending with Morsi, the so called “revolutionary president”. And since the first moment of SCAF ruling Egypt, they worked just as hard as they could, just for one aim, the aim of including the most radical youth in their “democracy project”, which consists of sets of procedures that one must follow to demand changes, civilized ones, sets which start with youth political parties and ends with one on T.V screens, and so they did, but that comes with a price; to show full loyalty for the current system, to oppose it as they show you, to act as if you want to change it, but never, to doubt its existence. But they were wrong, what was a successful plan, ended up badly with the parliamentary elections, the system they wanted to preserve and change on its face, is no longer trusted by the people, the masses have learned the lesson, at least this time, they understand that no one can be trusted except the streets, and their power, as organized, conscious masses. So, by the mid and end of 2011 they again occupied what they left before, workers rose up demanding what was called by the state media “factional demands” in one of the biggest strike waves to hit the nation in decades, military administration was unable to liquidate this revolutionary spirit into a political action so that the system ensures that it keeps its rules but in a more acceptable way than in the past, and the presidential elections came to witness less participation from the lower classes and the people in general. After that the gap between the “democratic process” and the masses of the people continued to expand. The political elites, political Islam and liberal elites stood there unable to exchange the people’s demand to take down the regime, which they wanted to take down two years ago, for the hope of a new alternative. The blood of the masses continued to run in the streets, showing that the Constitution-making process proved the so called democratic process is the first step on the road to dictatorship. In the political arena the political elites tried to find solutions to control the masses, between political speeches in coalitions and the money paid to finance youth campaigns which those old political elites huddled behind who are fearful that the public would be able to organize themselves and find an alternative to get rid of those elites, they who are part of the regime to put down revolutionary movements so as to ensure system stability. A movement shows up calling for so called –rebellion– under the name of “Tamarod” that bears in mind the demands of political elites –”reforms”– blared out in the opposition media as their demands are restricted to “to take down the head of the system, which is morsi” who is not in fact the cause of the problem, rather the cause of the original problem is the old regime which the political elites are part of, it’s the system that did not fall on 28 January, and that everyone is keen not to take down because of their own interests. The Tamarod campaign reflects the demands of the conflicting political elites who are working so hard to convince the public that they are working hard to improve their economic and social conditions, but if we looked at the performance of these elites since the 28th of March two years ago, they called to prevent the masses from coming down to the streets and to stop protesting, after the military administration became the last card for the system to protect itself. We find that those elites are the ones who called to go through the process of democracy hoping to get gains, but they failed to do so. Thus they rise up now, after the success the Muslim Brotherhood in controlling parts of the State and excluding the rest of the political forces which lead to congestion and conflict between the liberal elites and the political Islam elites, in order to restore the liberal elites to power again. They supported the Tamarod campaign in light of the demands for reform which are suitable for this parasitic class. They supported it by the media and also by their headquarters until Tamarod turned into a reformist movement looking for roots within the society to liquify the revolutionary spirit of the masses for political gains by elites in a comedy called democracy. The danger of Tamarod is that it is trying hard to convince the public that the problem is really not in the system that grows on exploitation, but to convince them that the problem is in the head of the system. This is incorrect, since the difference between the head of the system before the revolution and after is only nominal while the exploitative repressive policies remain the same and keep all the social and economic conditions as well. Tamarod is merely a political comedy which will not vary from the other attempts to politicize the revolution. The elites have no objection to current or previous policies of the system, but the only objection is that they want to become part of the system, want to become part of the power, they look at the revolution as a political gain, they do not see it as a popular movement that wants to destroy the current system so that the public can build a more revolutionary alternative for more equality and justice. And now, after June 30, we stand on the result of this so called “revolution” that claimed that it’s a complement of the 25 of January uprising – which in fact was on 28 January, but the revolution’s enemies refuse to admit it – we can stand on the results of 30 June where we can see now fully a military coup and most noteworthy that it was not only a military coup but an attempt to reproduce a system that died in January 25. And we are now witnessing the return of the police state in the protection of the military coup, which opened its arms to all members of society -not only as promoted against Islamists- and putting muzzles on the mouths of the opponents of the current regime with the help of the army and the police forces, arresting citizens who have been accused of insulting “Sisi”, and the military junta permit the police to arrest citizens wherever they may be, seizing their right to mobility so as to be able to perform their excessive repressive authority. But that wasn’t enough for them, there were also unarmed citizens being shot for breaking the curfew, thereby imposing the new law that the ones who break their laws will be a victim of violence and State terrorism. And even after Sisi tried to cover the coup with a liberal civil veneer whether by appointment of President adley Mansour, a former President of the Constitutional Court, the head of his Cabinet of Liberals Hazem El-Beblawi, which is in fact one of the supporters of the inheritance and also Minister of Transport who stained his hands with the blood of Egyptians in particular with the railway disasters in 2001; Kamal Aboueita who heads the Union of independent labor unions–the yellow union–that had been established with the assistance of the State with the goal to penetrate the labor movement and maintain the State; and Adel Labib, the Minister of finance and other businessmen–the Generals–who grew up in the years of Mubarak. And now Sisi is trying to appease foreign powers that this coup is in their favor. But he lost the ability to hide the coup when he came out to ask the people to complete the ‘revolution’ of June 30 by giving him a mandate for bloodshed, to use power against all and especially since he felt at that moment that he was capsizing with no popularity anymore so he wanted to create a case of Terrorism to win people’s support for State terrorism, of course with the help of the Tamarod movement which called to support the army after it mobilized the ‘revolution’ of the old regime. Tamarod is now mobilizing for the military after its role in controlling and maintaining the people’s rage against the system by limiting it and directing it only at the head of the system–Morsi–not the whole regime and to direct the people’s rage in favor of a particular stream. Now the results of the mass movement into the streets are gains by liberals and the military. And after the features of Liberal Government had been formed, which returned to the same old way of thinking before January 2011 and the security services were back to work after they stopped–for a while– and returned to natural relations with the businessmen of the old regime who also worked on reconciliation with the Morsi regime after vigorous attempts succeeded and failed, and after the return of the old regime completely with a new format and the same persons, there is no need now for reconciliation, they are the ones who are in charge. The Muslim Brotherhood’s way of dealing with the people did not differ from their predecessor’s systems, and this is what we expected as long as the power is a tool for the suppression of the masses and not to preserve their rights, where the basic guarantee for the arrival of the brothers to take the authority is to continue to service of the capitalists, and eliminate the revolution in many ways using oppressive authoritarianism that ranged from imprisonment of workers and students to the collective abduction or killing under the protection of the entire military and police. This is what the brotherhood worked on during a full year of their rule and even earlier after the 28th of January, but the conflict in power between elites that had grown under Mubarak’s rule, and conservative Muslim elites, while taking in mind that their economic ideas–capitalism–is the common factor between those elites, the brotherhood has nonetheless been ousted from power. The road had been paved for Mubarak’s elites to take power again. Don’t forget that the Brotherhood and their ascent to power was under the supervision of the Military Council that felt it necessary that the Brotherhood take power to be able to control the crowds of people who occupied the streets and fields. Now the old political elites are in a collaboration with strong liberal and national elites to mobilize supporters of the bourgeois class and the middle class. Now the presence of the Brotherhood in the image is marginal, and so the Muslim Brotherhood was their sacrifice in the midst of a power conflict in that ridiculous game called the Revolution of June 30. But we see it as it is now clear that the regime wants to keep the Islamists as its opponents, to dissolve the lines between the claimants of social and economic rights and the ones who just want a chair inside the system, becoming the opposition within the framework of the State and the existing system. And now after a wave of counter-revolution has managed to return to power, we must note that the Muslim Brotherhood also did not give the people any of their demands; not the social, the economic nor political demands, like the deposed regime of Mubarak. They proved that the army is a key element in the equation of Egyptian politics, that in it moves all parties that ensure all the time not the demands of the society but rather to achieve economic stability, especially that the army owns more than 30 percent of the Egyptian economy, and without stability it’s not possible for the businessmen with military ranks to gain their huge profits in peace. They proved that the army always intervenes when they feel danger to the stability of the State which is linked directly to the political and economic gains that allow it to control the State under the authority of any faction, because that faction will ascend to power only with the supervision of the military. The revolution will not become in one day a movement for politicians from various parties to ensure for themselves a part of authority or power. The revolution is an ongoing mobility that will not be extinguished until the demands of the masses are achieved. The revolution is the enemy of every politician, and is the enemy of every military, every businessman, every cleric. The revolution is not and will not be controlled by anyone, so Tamarod like any other various campaigns that are used to liquify the revolutionary spirit, will become at the end a ridiculous joke for the masses who are calling for taking down the regime. Yes, the Muslim Brotherhood are enemies of revolution but the enemies of the revolution also are those who trying hard to extinguish and put limits to it. The revolution is the enemy of every system. The revolution is the enemy of every politician, an enemy of every authority, even if the bourgeois succeeded to take down the Muslim Brotherhood and to come up with a new President. The revolution will stand against him; the revolution is against the regime and not against individuals or persons. 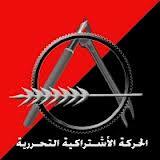 Posted on November 2, 2013, in North Africa and tagged Egypt, Egyptian Anarchists, Egyptian Revolution. Bookmark the permalink. 1 Comment.